How should I budget my trip? When traveling with a tour operator, most of your costs will be covered in advance. Kyrgyzstan and Uzbekistan are cheaper destinations than the other three countries. Tajikistan, Kazakhstan and Turkmenistan still see few tourists, meaning competition is low and prices high in these fledgling markets. In addition, rough terrain and government taxes add extra costs. Although traveling here can be expensive, the cost of living in Central Asia is relatively low: compare it to Mexico or eastern Europe. USD is by far the best currency to travel with and will be readily converted to local currency everywhere you visit. The Euro is also accepted, but you will have more trouble finding exchange in some places. Stick to dollars. Kazakhstan and Kyrgyzstan have plenty of ATMs where you can withdraw cash in local currency, as well as an abundance of currency exchange offices. Tajikistan, Uzbekistan and Turkmenistan have some ATMs, but they are empty more often than not. Do not rely on them, and bring all the money you think you will need with you in USD. In addition, Uzbekistan and Turkmenistan have a black market for dollars where prices for your money are much higher. Your guide may be able to make a good deal on the bazaar. In Turkmenistan, only the blue-ish $100 bills printed post-2013 are accepted. Make sure they are in good-as-new, crisp condition. Smaller denominations should also be in crisp condition, but there are no new bills to worry about, any bill is fine. Kazakhstan and Kyrgyzstan offer visa-free stays of 30 days and 60 days respectively for visitors from developed economies. Tajikistan has introduced an easy e-visa system that also allows for a 45-day stay. An additional permit is needed to visit the Pamir region, but this can easily be requested together with the e-visa. To visit Uzbekistan, you will need a visa. In addition, to get the visa from the embassy, a letter of invitation from a tour operator is necessary for most countries. In Turkmenistan, all tourist visits must be accompanied by a local guide. The visa procedure is opaque, and sometimes potential visitors get rejected without ever finding out the reason. Most tourist visas are granted, though. Note that visa information is correct at time of writing and may change without notice. Confirm with your tour operator when you book. How do border crossings work? In general, border formalities are simple and straightforward. Nevertheless, thorough checks at the Uzbek and Turkmen borders mean you can easily spend an hour or more here. Between Shymkent and Tashkent, the border crossing is especially busy. Take special care before entering or leaving Uzbekistan. As its neighbour Afghanistan produces 90% of the world’s heroin, Uzbekistan has draconian drug laws. Many common painkillers, sleeping drugs and anxiety blockers are illegal in Uzbekistan. Codeine is a common component of many painkillers but is highly illegal in Uzbekistan. Benzodiazepines and sleeping drugs you may own are probably also illegal. Make sure you do not have any of these substances in any medication, and bring the correct boxes, usage manuals and prescriptions for all your medication. Books can be tricky too. Don’t bring religious literature of any kind, or books about Uzbek politics or history. A travel guide is fine, though. Your camera photos may be checked both in Uzbekistan and Turkmenistan. Snaps of government buildings, men with beards (old men are fine), anything concerning the military and naked girls are all big no-nos. Any religious or cultural sensibilities and taboos? Although Central Asia is predominantly Sunni Muslim, there are large numbers of Christians living everywhere. In the cities, mini-skirts and beer taverns dominate, while in rural areas (Uzbekistan and Tajikistan especially), people dress more conservatively: wear long sleeves to not attract stares. Although some people might not drink alcohol and privately follow Ramadan nowadays, the holy month has no effect on daily life. Restaurants are open and alcohol is served everywhere. Nevertheless, women should bring a scarf to cover their head when visiting mosques. A long skirt can be useful in the hot desert climate. Islam is, in a way, new to the region. After more than 70 years of state-sanctioned atheism under the Soviets, religion needed to be re-learnt. The anecdote of the Saudi clerics who came to open a new mosque in Kazakhstan and were welcomed at the airport with shots of vodka is just one comic example of the lack of knowledge about Islam in the region. Although the ultra-strict Saudi brand of Islam is spreading in Central Asia with the influx of Saudi money, it is heavily frowned upon by the vast majority of locals. 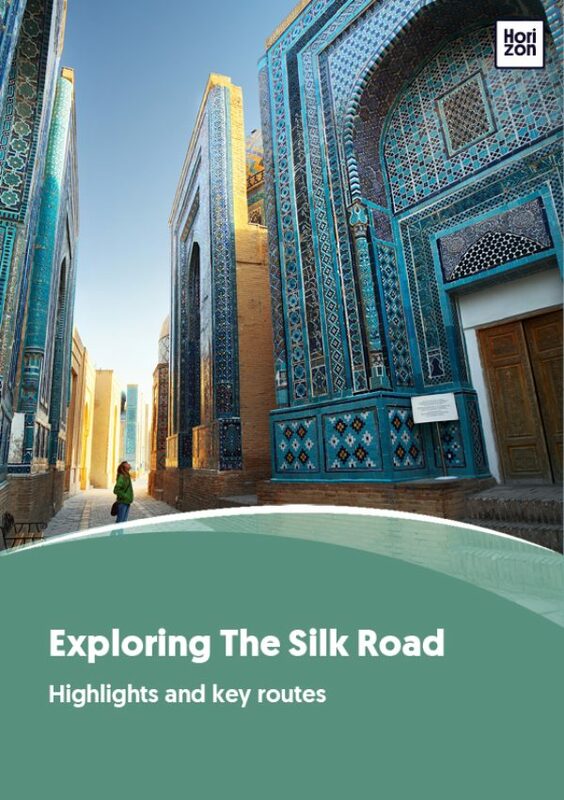 Central Asia’s religion today is still mostly a mix of Sufism, a less legalistic and freer version of Islam, and Tengrism, the nature religion of the past. Typhoid, DTP (Diphtheria, Tetanus and Polio) and MMR (Measles, Mumps and Rubella), Hepatitis A and B are standard travel vaccinations and you should double-check you are up to date. Vaccinations for rabies are expensive and the chance of obtaining the virus is very small if you do not stay in the countryside for an extended time, so you should weigh up the risks for yourself. If you intend to go hiking and camping, get vaccinated for tick-borne encephalitis, a deadly disease transferred by ticks living in forested areas. How do I stay well and healthy? Altitude sickness can strike anyone in high areas such as Song Kol or the Pamir. Although medication exists to cope with the symptoms, the best remedy is to descend as soon as you feel the effects (dizziness, nausea, headaches) coming on. The most common illness for travelers in Central Asia, however, is diarrhea or constipation. Make sure to always wash your hands before eating, avoid tap water, ease yourself into the dietary habits of the region by mixing fruits and homemade meals with restaurant food, and pack some basic medicine like Motilium and Imodium for when the proverbial hits the fan. Yes. Violent crime and thievery is low. Bishkek and Osh are the only places where more caution is required as pickpockets operate in the bazaars and (fake) police target tourists for shakedowns. Bishkek’s nightlife also attracts shady characters. The rest of Central Asia can be considered perfectly safe for visitors who keep the normal and common-sense precautions in mind. Behave as you would anywhere else in the world: Don’t wander down any dark alleys alone, keep your valuables out of sight and don’t flaunt cash. One very real danger to watch out for is traffic and road safety. If you travel with a tour operator, vehicles will be in good shape and come with a responsible driver. If you need to get in a local taxi, make sure you get on board with an older, experienced driver. Young men often drive irresponsibly fast. Terrorism is top of mind for many due to the excessive media attention, but, as clear-headed travellers are well aware, the attention it receives is not even remotely in proportion to the actual danger. As far as we know, no tourist has ever been killed by a terrorist in Central Asia. Nonetheless, political instability is a reality in Central Asia. Kyrgyzstan has the most open society, and protests, road blocks and revolutions have caused disturbances in the past. Other Stans keep a tight lid on any type of public dissent, but they are prone to unpredictable lockdowns at the first whiff of trouble. A good example was the sudden death of the president of Uzbekistan in 2016, when borders closed without warning for several days. There is very little you can do about this, besides being aware it is a remote possibility, and paying attention to your guide’s instructions should anything out of the ordinary happen.